Raspberries have been in existence for centuries. However, despite the vast availability of this fruit, most people aren’t aware of its amazing benefits. A member of the rose family, this fruit is native to northeast Asia and Europe. A cup of raspberries has around 8 grams of dietary fiber. It will prevent you from constipation and manage smooth bowel movement. These benefits of raspberries are contributed by their anti-inflammatory phytonutrients and antioxidant. Presence of ellagitannins can switch signals delivered to budding cancer cells, keeping them benign (dormant). It can also inhibit the number of existing cells by directing signals that boost cell death (apoptosis). Rich in soluble fiber, raspberries can help maintain a healthy weight by giving you a sense of fullness, preventing overeating. The fruit is devoid of fat and replenishes your body with essential minerals and vitamins. A cup of these berries contains just 50 calories and gives your body almost half of the recommended daily intake of vitamin C.
Raspberries are helpful in maintaining good skin and hair health. The fruit is rich in vitamin B, which can curb hair loss and even reduce graying. Raspberries contain folic acid that induces hair growth and imparts a healthy shine. Vitamin C helps maintain a healthy scalp. These yummy berries are also helpful in maintaining younger looking skin. The credit goes to the high content of antioxidants that slow down the aging of the skin. Anthocyanins present in red raspberries are helpful in maintaining youthful skin and a beautiful complexion. Omega-3 and Omega-6 fatty acids in raspberries are helpful in treating skin conditions such as psoriasis and eczema. Raspberries are rich in manganese. It is an important element for maintaining healthy strong bones by as it boosts their mineral density. The natural sugar present in raspberries is absorbed into the bloodstream slowly. Hence, it prevents sugar crashes. Intake of these berries will also curb sugar cravings and mood swings. Raspberries contain folate, potassium, and antioxidants that offer neurological benefits. Folate can curb the occurrence of Alzheimer’s disease. It also inhibits cognitive decline. Rich in potassium, raspberries boosts blood flow to the brain and improves cognition, ability to concentrate better, and improves neural activity. A cup of raspberries contains 54% percent of the daily-recommended vitamin C. The vitamin is a powerful water-soluble antioxidant that helps the body to develop the strength to fight against infectious agents. It also helps the body to get rid of free radicals (cancer-causing agents) in the body. Raspberries comprise of zeaxanthin, a powerful antioxidant known for its ability to protect the eye from age-related macular degeneration. Rich in potassium (186 milligrams a cup), these berries are also low in sodium content (1.2 milligrams). It relaxes the blood vessels to maintain healthy blood pressure. With so many amazing health benefits raspberries provide, it is time to include these into the daily diet and stay healthy inside out. 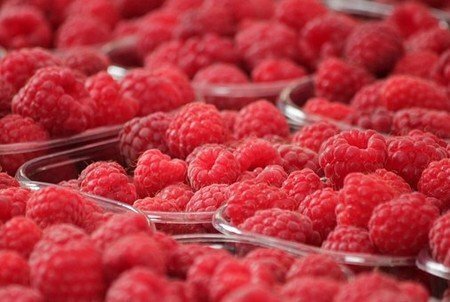 Read this article to explore the immense benefits of raspberries. The grapes cultivation has an ancient history going back to thousands of years. The usage of grapes in food and beverages is prevalent worldwide in every household. The grapes always provide scrumptious opportunities to the food connoisseurs in making different nutriments tastier and in making fine wine. You can eat grapes raw, in salads, desserts, jams, and in raisins forms. These are packed with good health, here are amazing benefits of eating grapes. Apart from using them in foods, grape production used mostly in making wines. Globally, about 72 Million Tons of grapes produce 7.2 Trillion gallons of wine. It is grown in temperate climates across most continents. In the USA, California state is its major grower. Grapes are available in seeded and seedless varieties in green, red, black, yellow or pink in colors. Grapes are high in nutrients like vitamins, minerals, and antioxidant contents that protect against cancer, cardiovascular diseases, eye’s health besides helping prevent other health disorders. A rich diet of grapes can do wonders to your body. Grapes are high in healthier nutrients. 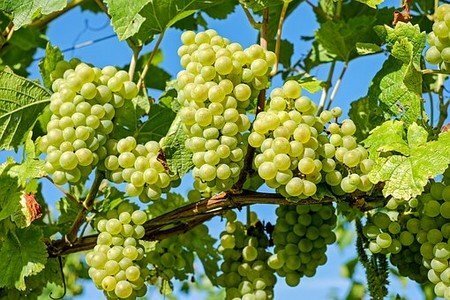 One cup of grapes contains- 104 calories, 27.3 grams carbs, 1.1g protein, 1.4g fiber, besides having good doses of Vitamin C, vitamin B6, vitamin K, and minerals like copper, manganese, potassium, etc. Antioxidants compounds are mostly plant-based that prevent degeneration of body cells caused by free radical. These dangerous molecules cause oxidative stress, which attributes to diabetes, certain types of cancer, and cardiovascular health issues. Amazingly, the skin and seeds of grapes have over 1600 beneficial plant compounds that are important for your good health, being powerful antioxidants, these prevent various diseases. Red Grapes contain resveratrol antioxidant, a polyphenol compound that protects the heart and lowers blood sugar, this also has anti-cancer properties. Red grapes contain powerful anthocyanins antioxidants that are more effective in the fruit as well as in red wines. Cardio-vascular: The quercetin and resveratrol compounds in grapes help in recovering from the damage caused by bad cholesterol. Its polyphenols, fiber, and potassium also reduce cardio-vascular disorders. Polyphenols compound in Grapes are anti-inflammatory and antioxidant. Polyphenols are part of resveratrol found in the skins of red grapes. 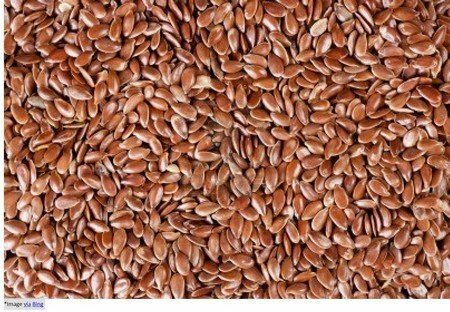 This also prevents tumor growth in lymph, colon, liver, stomach, breast, skin, and leukemia. It also contains flavonoid quercetin compound with anti-cancer properties. With its fibrous and watery contents, the grapes keep good bowel movement, yet another health benefit of eating grapes. Its potassium contents blood pressure and heart-related issues, prescribed when sodium consumption prohibited in the patient. It lowers the blood sugar level because of the presence of good sugar. Antioxidants in grapes prevent free radicals, improving eye stress, retina, cataract, and general eye health. The studies found its nutrients effective enough in treating Acne, Alzheimer’s disease, osteoarthritis, and in boosting the immune system. The amazing benefits of eating grapes are undeniable. Include grapes in your diet to avail its amazing benefits. Starchy and white Makhanas seeds have ample healing properties, used extensively in Chinese medicines and in herbal concoctions of Ayurveda. However, its nutritional benefits are more noticeable when eaten raw, in snacks or in various recipes of food. A vegetarian or a vegan finds it problematic to meet up the day-to-day need of protein from the plant-based protein sources. Not to worry, they can now have 4.1g of protein from 100 g of Makhanas. This quantity of protein supplements the protein demand for the body largely. Roughly speaking, a sedentary woman should have 46g and a man should have 56g protein per day. Luckily, lotus seeds are safe for protein in comparison to meat products, which provide ample protein but have many unhealthy contents in them too. Enormous low-fat nutrients of Makhana prompts recommendations of nutritionists for weight-loss. The studies on makhanas are very encouraging, as they find its amazing role in detoxifying the liver and boosting the metabolism. Makhanas improve digestive system because of the presence of fiber and other nutrients in them that help the appetite. It also regulates bowel movement, when you add them to your healthy diet plan. One of the laudable benefits of makhana is its anti-aging property. This has an enzyme called L-isoaspartyl methyltransferase that helps in building new cells and repair damaged protein cells. 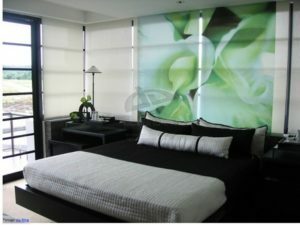 For this special property, Makhanas or lotus seeds are blended in several beauty products. Makhanas have a compound called kaempferol, which is a natural flavonoid that averts inflammation. The natural flavanol in this helps control oxidative stress in aged kidney. This compound also repairs soft gum tissues, making makhana a boon for dental health. Kaempferol compound is effective in reducing cancer in ovary, breast, and prostate, thanks to its anti-cancerous properties. In the long list of nutrients in Makhanas, calcium is also present in plenty. A cup (32g) full of makhanas have 52.2mg of calcium besides many other minerals including manganese, potassium, and phosphorous. Calcium is a vital substance for strengthening bones and joints. Because of its low glycemic index, makhanas are helpful in controlling diabetes. 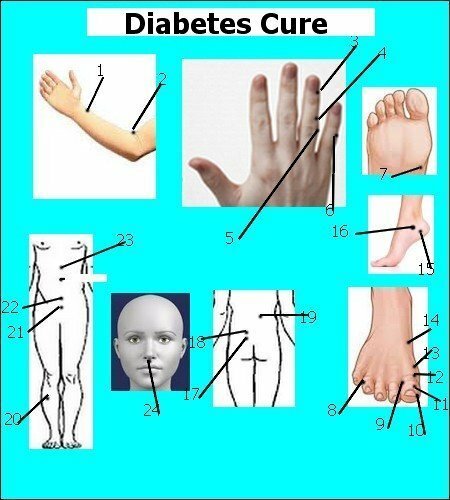 These are very effective in regulating insulin, as it helps to slow down glucose release into the bloodstream. Late nights and sleep deficiency cause many health issues. Insomniacs usually suffer from stress and mental qualms that lead to this disorder. It is an excellent home remedy to tackle sleeping issues because of its natural calming abilities over mind and body. Makhanas avoid diarrhea, it is a tried and tested ingredient in ayurvedic treatment for diarrhea. It also improves spleen health that controls not only diarrhea but also fortifies digestive system. Do you have mouth sores and ulcers? 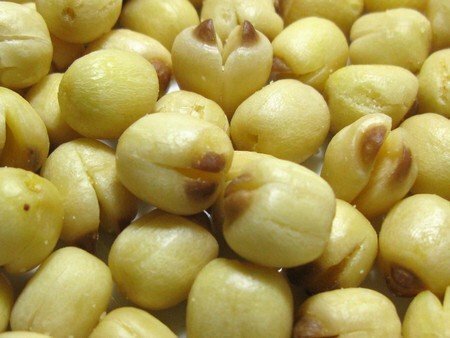 Makhanas or Lotus seeds with their anti-inflammatory properties treat and heal sores too. Makhanas are the fine source of minerals, vitamins, and protein that are important for pregnant women. The regular consumption of makhanas would end the deficiency of vital nutrients. Makhanas are low in sodium and high in its magnesium content, besides other amazing nutrients. These nutrients help in treating heart diseases and in controlling high blood pressure. Owing to the above amazing Health benefits of lotus seeds/ makhana, make them a part of your regular diet. The papaya is an amazing nutrient-rich fruit with 88% water content, antioxidants, good carbs, and other elements. Health benefits of papaya are noteworthy, not to mention its wonderful taste. Read more about papaya in this article. Carica Papaya is an original native of Central America and Southern Mexico, now being cultivated extensively in India and other tropical countries. Loaded with a bagful of nutrients and sweet taste, papayas are either sweeter red-orange in flesh or yellow in color. Health benefits of Papaya are incredible, thanks to its nutrients. Nutrients: 100g of papaya contains calories-43g, protein-0.47 g, fat-0.26g, Carbohydrate-11 g, Dietary fiber- 2 g, vitamin C- 102% of per day need, vitamin A- 32% of RDI, potassium-11% of RDI, Vitamin B5- 4%, Folate or vitamin B9- 9% of RDI, Vitamin E-0.71g and other vitamins in small measures, besides calcium and magnesium minerals. Papaya has numerous antioxidants namely carotenoids that has an antioxidant called lycopene. Free radicals damage good body cells and encourage oxidative stress that causes diseases that hit the body’s vulnerable parts. Carotenoids antioxidants in papayas, help deactivate free radicals. These antioxidants help in controlling the diseases in elders, like Alzheimer, prediabetes, and liver ailments. Papaya’s antioxidant, Lycopene, is very effective in countering cancer. So much so, that, the cancer-suffering patients are advised by doctors to eat papaya even while they are under treatment. You must include papaya in your daily diet plan to have its true benefits. Papaya lowers LDL level in the body. LDL is bad cholesterol. If you want to avoid any heart-related complication, a regular healthy diet is mandatory. Include papaya in your breakfast or meals for its health benefits. Its vitamins, mineral, and dietary fiber support general health, significantly more for the heart’s health. 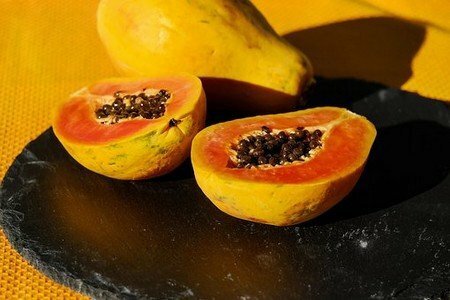 Popularly, papaya finds its perpetual place on the breakfast table for its effectiveness in regulating the bowel movement. Its positive effect on digestion is mainly because of an enzyme called papain, which helps in breaking protein for easy digestion. People who suffer from irritable bowel syndrome (IBS) get big support by papaya for reducing bloating and constipation occurrences. Good vitamin-A content in papaya supports the eyes nicely. Deficiency of vitamin-A proves disastrous for the eyes, in shape of weaker eyesight, early cataract, and other eye’s ailments. The children today are worst off being exposed to fast food, mobiles and other video screens that harm their eyes. Papayas for them are an excellent source to refurbish their depleted vitamin-A supply. Ample vitamin C in papaya is a boon for the bones and joints for its potent anti-inflammatory properties. Aging adds up to the woes of joints with more wear and tear, forming arthritis that destabilizes the normal movement. By adding papaya in meals regularly, one can have big relief from joint pains. Add Vitamin-C supplements along with papaya, if the joints problems become acute. Papaya is also very useful in the cure of Polycystic Ovarian Syndrome and various other skin ailments. Thus, Health benefits of papaya are undeniable in daily meal plans. Many of the recipes contain raisins as essential ingredients in them. Generally, all know them as soft, brownish-yellow, and shrunken pieces used in salads, cakes, desserts, mutton recipes, and in many other dishes. However, few people know these are nothing but heat-dried, dehydrated grapes. Derived from a French word for grapes, raisins have remarkable nutritional value. Here are some of the nutritional benefits of raisins. Raisins are high in antioxidants like in dry prunes, although it may not contain as much vitamin C in them as in fresh grapes. Raisins comprise of 72% fructose and glucose sugars by weight. Raisins carry 3% protein and 3.7% to 6.8% dietary fiber in them. Raisins improve digestion, boost iron in the body, and keep bones stronger. 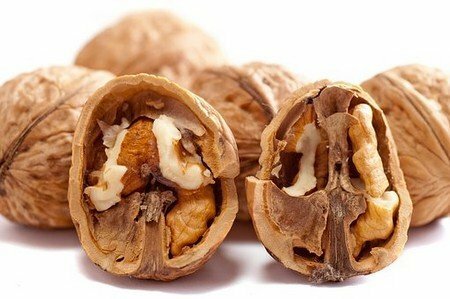 These benefit human health if consumed in limited quantity. Raisins are also called ‘nature’s candy’ for their higher sugar content. Even a half cup of raisin has 47 g sugar and 217 calories. These are good for athletes who burn lots of calories in tough exercises. These are the perfect alternative to overpriced sports chews and gels. These are rich in carbohydrates also. These contain 79g carbohydrates in 100g of seedless raisins. These are good carbs for the body if eaten in moderation. Half a cup of raisins or in 100g of its quantity, 3.7% to 6.8% dietary fiber is available. Largely, it makes up for the 10 to 24 percent of the total need for fiber in the body per day. Fiber boosts digestion by making the bowel system smoother and helping in preventing constipation. Raisins are good for maintaining cholesterol level by decreasing low-density lipoprotein (LDL) type of ‘bad’ cholesterol. 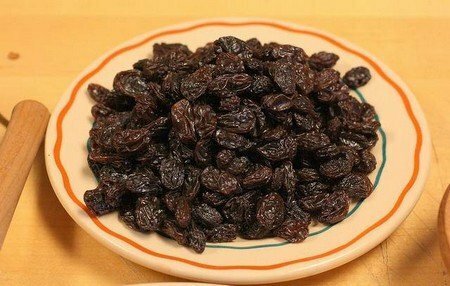 Raisins carry a good amount of iron in them. Half a cup or 100g of raisins comprises of 1.3 milligrams of iron. Statistically, it contains about 7 percent of the recommended dose of iron per day in women and 16 percent for adult men. Iron is essential for producing red blood cells and oxygenating body cells. Iron-deficiency causes anemia and other health issues. Raisins provide 45 milligrams of calcium per 100g or half a cup of raisins. In fact, it makes up for 4% calcium that a human body needs every day. Calcium is crucial for healthy bones, teeth, and food absorption. Recommended calcium dose per day is essential to keep away the occurrence of osteoporosis in women. Raisins also contain boron element that along with Vitamin D and calcium keeps the bones and joints stronger. Raisins have a variety of antioxidants or phytonutrients namely phenols and polyphenols. Antioxidants destroy free radicals from the body and help maintain body cells degeneration. These prevent deadly diseases like cancer, heart disease, and heart stroke etc. Raisins also promote good gum & teeth health because of the presence of antimicrobial compounds in them.